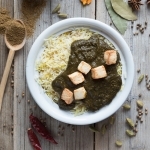 Classic spinach curry with homemade chunks of traditional paneer cheese. 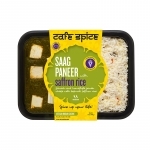 “Eating your greens” is easy with Saag Paneer, a delicious and hearty North Indian dish prepared with spinach and paneer (traditional farmer-style Indian cheese). 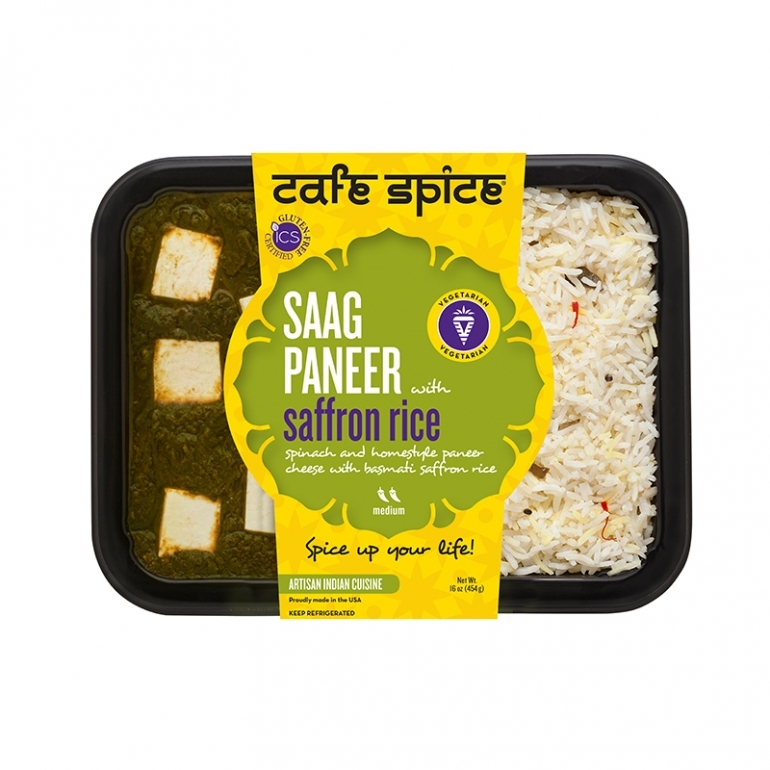 Perfectly spiced spinach, tomatoes and onions are slowly cooked and topped with cubes of Cafe Spice's own homemade low-fat paneer. Complementing this entrée is a portion of aromatic Basmati Saffron Rice. Packed with vitamins and iron this dish is also high in protein. Net weight: 1lb. Approx. 2 servings.